In the wake of the chaos surrounding the rioting and civil unrest in Ferguson, Missouri, after a grand jury failed to indict Officer Darren Wilson in the shooting death of Michael Brown, Brown’s family’s previous pleas for peaceful protest and demonstration gave way to obscenities and calls for arson. 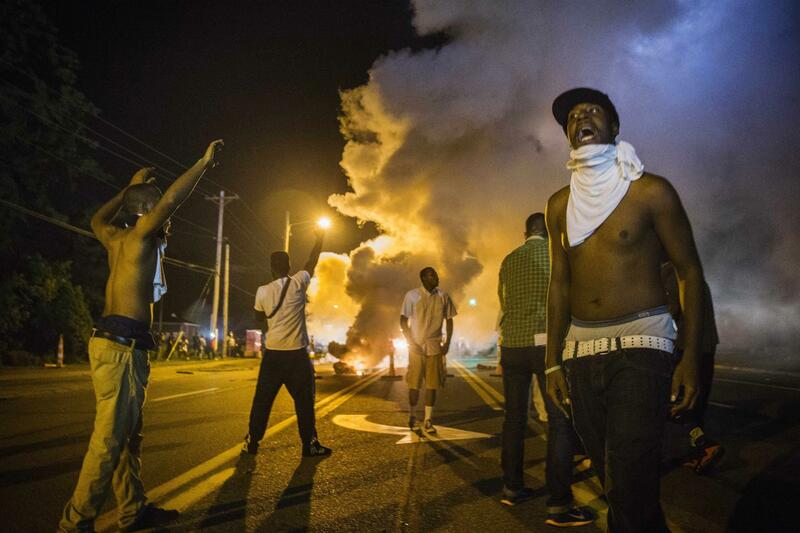 After the grand jury’s announcement, general unrest began again in a city already fraught with racial tension. In a five minute video clip on YouTube, Michael Brown’s mother, Lesley McSpadden, stood on the hood of a car after the jury’s announcement, then began to cry. Initially her husband, Louis Head, climbed atop the car beside her to comfort her as protesters and bystanders looked on. Suddenly, he began to yell “burn this b***h down!” repeatedly, in which the crowd became chaotic and frenzied, screaming obscenities, and began to set things on fire, fight amongst the crowd and damage two police cars, and damage several businesses. While Mr. Head never specified what exactly he wanted burned down, the crowd proceeded to set buildings and cars on fire. Civil Rights leader Reverend Al Sharpton responded to the outburst and arson the next day when he was interviewed by several reporters. Michael Brown was shot and killed by Darren Wilson after allegedly making aggressive movements towards the police officer. Brown, who was African-American, was believed to be the victim of a hate crime and police brutality by many in his community. But on Monday, a grand jury found there was insufficient evidence to indict Darren Wilson and believed he acted appropriately. At the end of the night, 61 people were arrested and 18 were treated at local hospitals for unknown injuries.